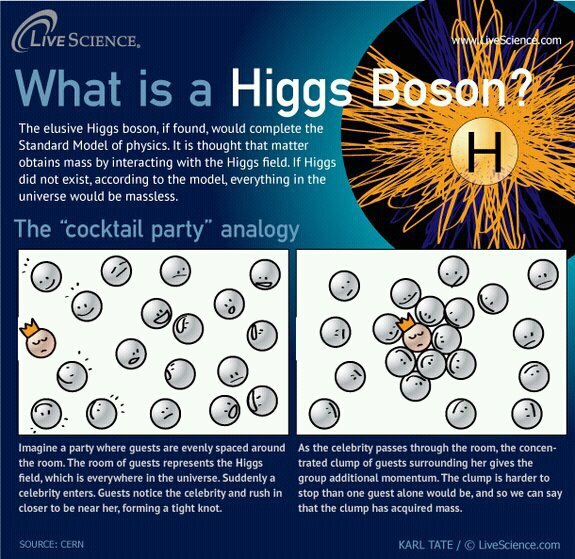 With news of the Higgs Boson and annoying article titles featuring the words 'God Particle' abound, I suspect most people still don't know what on earth the Higgs Boson is about. Even more perplexing to them would be differentiating between the Higgs Boson and the Higgs field, and how the two interact to give rise to mass. Therefore: Nothing is truly 'solid' or 'empty' as we traditionally understand it. Everything we see and touch is energy reacting in a multitude of ways to give the illusion of physical matter. Mass is merely a measurement of resistance to being pushed.